The Bellevue-based wireless service provider said it engaged Turnberry Solutions in August. Several of the Washington, D.C., lobbying firm’s employees worked on President Donald Trump’s campaign, according to disclosures. 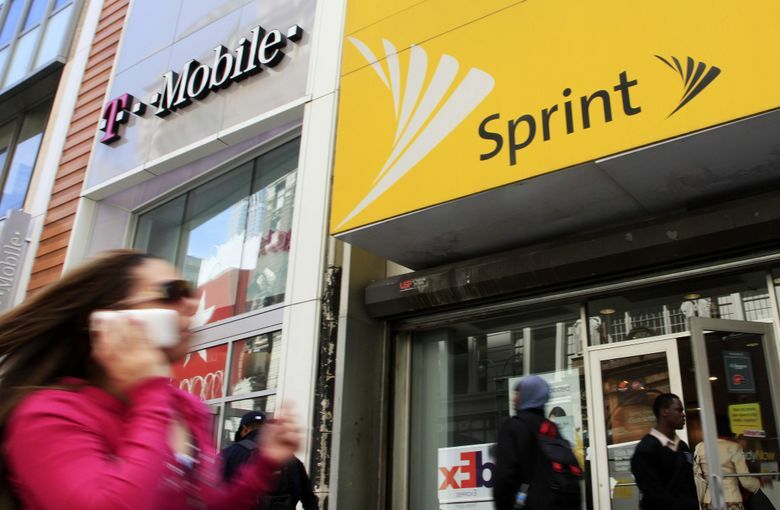 T-Mobile US is getting some well-connected help in Washington, D.C., as it seeks to win approval for its purchase of Sprint: a lobbying firm staffed by former Trump campaign aides. The wireless service provider said it engaged Washington-based Turnberry Solutions in August. The firm employs Mike Rubino, Jason Osborne and Ryan O’Dwyer, all of whom worked on President Donald Trump’s campaign, according to disclosures. Bellevue-based T-Mobile said in a statement, without providing details, that Turnberry is connected to former Trump campaign manager Corey Lewandowski. “Corey Lewandowski is now affiliated with that firm and they have offered perspective to T-Mobile on a variety of topics, including the pending transaction,” T-Mobile said in an email Friday. The Trump campaign abruptly announced Lewandowski’s departure in June 2016, after his brash style attracted controversy and Trump backers grew frustrated with a lack of coordination. Lewandowski had been accused of knocking a female reporter to the ground during an altercation in March 2016. Lewandowski has in the past denied working for Turnberry. A phone message left with Lewandowski wasn’t returned, nor was an email sent to Rubino. A telephone number listed for Osborne didn’t accept a voice message. T-Mobile’s proposed $26.5 billion purchase of Sprint, which would combine the third- and fourth-largest U.S. mobile providers, needs clearance from regulators, including antitrust authorities at the Justice Department. Officials there have opposed another merger — AT&T’s proposed $85.4 billion purchase of Time Warner — in a trial set to conclude in June. Trump said during the campaign that he opposed that deal, and AT&T sought unsuccessfully to show meddling by the White House in the trial. The T-Mobile-Sprint combination also needs approval at the Federal Communications Commission, which is led by Ajit Pai, a Trump appointee. T-Mobile paid Turnberry Solutions $30,000 in the fourth quarter of 2017 and $70,000 in the first quarter of 2018 to lobby the Executive Office of the President, the Department of the Interior, and the Department of Labor, according to federal lobbying records. Turnberry Solutions was hired to provide “guidance and counsel on telecommunication issues impacting the company,” the records say. Rubino led Trump’s efforts in several states, including Virginia, Maryland and West Virginia, according to a campaign website. O’Dwyer directed caucus logistics and was a senior advance representative for the Trump campaign in 2016, according to his LinkedIn profile. Osborne was a senior adviser for Trump’s campaign after serving as a senior communications strategist for one of Trump’s Republican primary rivals, Ben Carson. He also has been executive director of the Commonwealth of Northern Mariana Islands Republican Party and directed external affairs for the 2012 Republican National Convention, according to his LinkedIn bio. Lewandowski told Bloomberg in 2017 that his knowledge of Trump, a newcomer to Washington, would be key to his lobbying business. He co-founded Avenue Strategies a block from the White House after the 2016 election, but left it after a spate of negative publicity. At the time, Lewandowski said he hadn’t sought to take advantage of his relationship with Trump, who’s criticized lobbyists and declared his intention to “drain the swamp” in Washington. He said he only gives advice to clients on how to shape their message to Trump and his aides. Lewandowski isn’t a registered lobbyist, and he said he’s not required to register. He previously disclosed lobbying on behalf of a handful of companies between 2007 and 2010.